2:45pm The house guests are out in the hot tub room after their poutine and beer reward for Nikki & Tim correctly answering trivia questions about Canada. Kelsey, Jared and Joel are talking in the hot tub room. Kelsey tells Joel that one of the conditions with Loveita was that if I came back into the house I would keep you safe. I said I might put you up as a pawn though. Joel says that’s fair. Jared tells Joel they have his back. Joel says it bugs me that Nikki and Maddy have a thing against you. You’re the most real kind hearted girl in here. 9am Kelsey comes into the HOH room and asks do you guys want to talk now or later? I did some thinking and thought some thoughts that I wanted to share with you. Just that you boys know that I love you and would always be there for you. And when anyone would talk about you I would sway them. If you put me and Jared up, then I couldn’t continue to trust you. If its getting near the end, who could I beat? Nick comments that she couldn’t beat Jared. Kelsey says it depends on what you say. Phil says either way, I just wish people had opened up their relationships sooner. Nick says we literally saved Jared from going home… and nothing came of it. Jared’s name has never come up as a nominee or a backdoor plan .. until now. Kelsey says If I go up, I would go home. 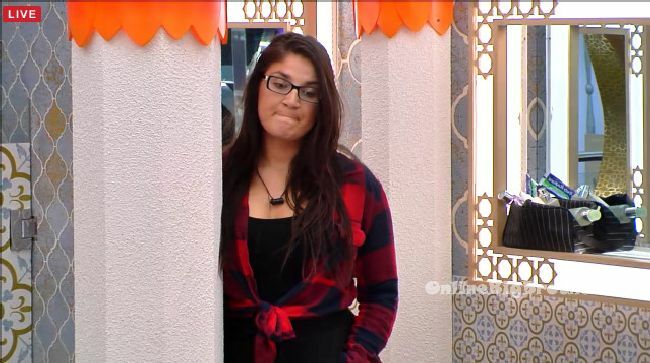 Big Brother Canada 4 – The Hyena vs The Prom Queen Eviction & Wildcard HOH Spoilers!